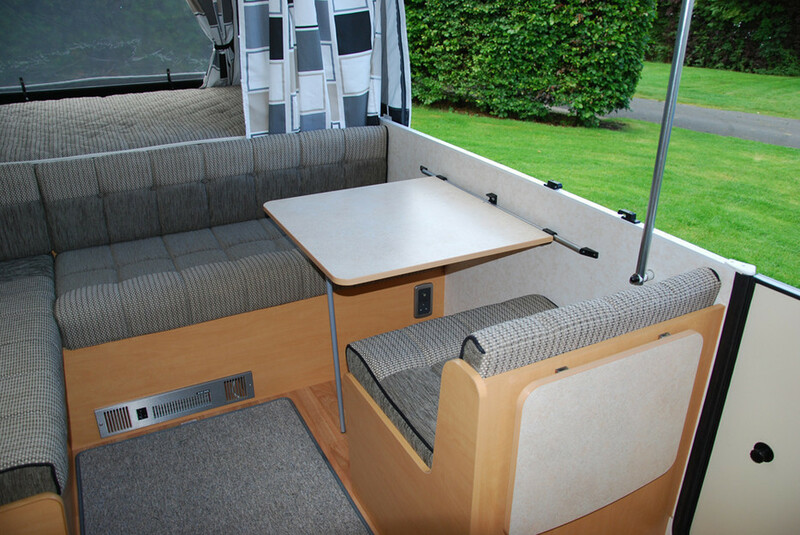 The Pennine Quartz 4 Folding Camper was introduced in 2010. 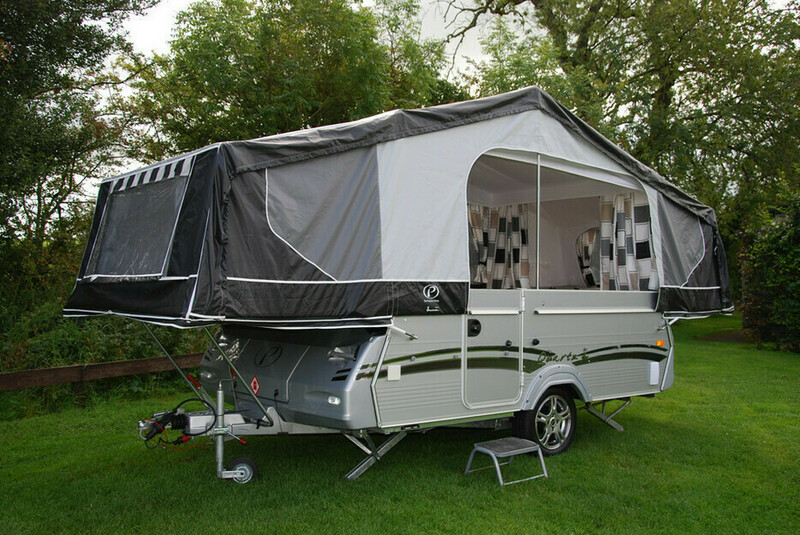 It is a top of the range medium-sized model. This particular model was only produce by Pennine for a very limited time and examples are rare. 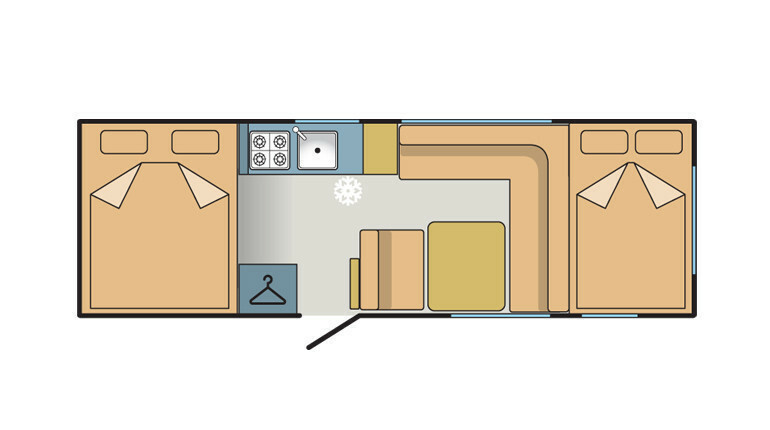 The big difference with the Quartz 4 is its beautiful internal layout, which was a leader of its time in 2011 when first produced and had never been seen before in the Pennine range, or any other, nor has it been reproduced since. 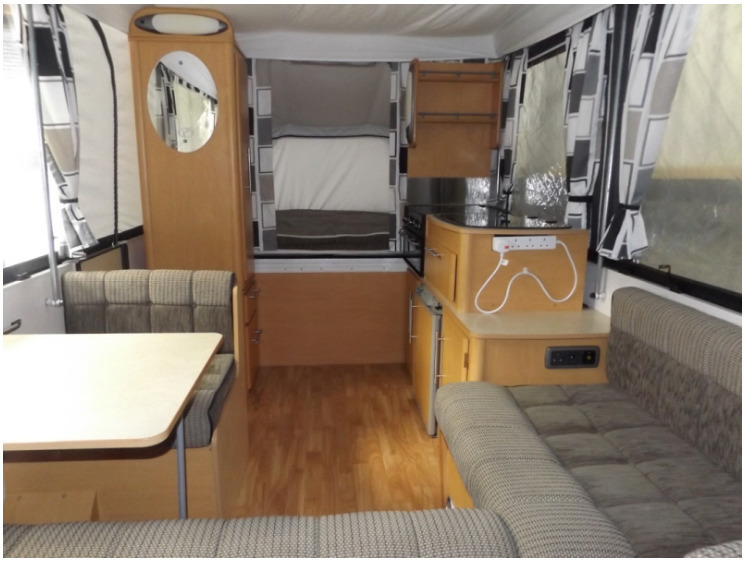 This is a top of the range model with integrated appliances and features including, gas burner and grill, 3-way fridge, wardrobe, large double beds, heating, electrics, hot & cold water, sink drainer, alloy wheels, LED lights and much more. 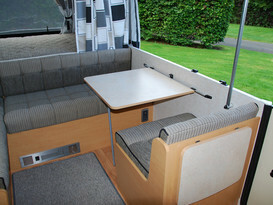 With a large L shape lounge seating area, the unit provides a very practical innovative layout. 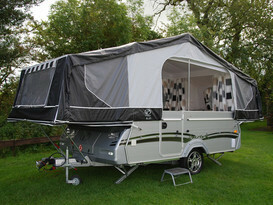 This is mid to Large 4+ berth folding camper. 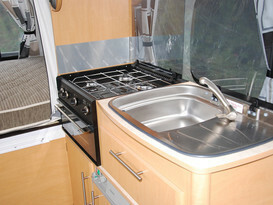 This unit also has an added cycle rack fitted. 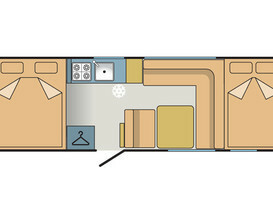 This unit is more than capable to sleep much more than its 4 berth status. 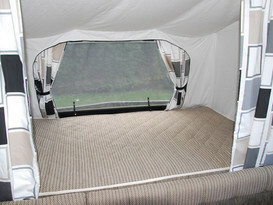 The unit and matching awing are made by leading manufacture isabella and lead the folding camper market being acrylic. 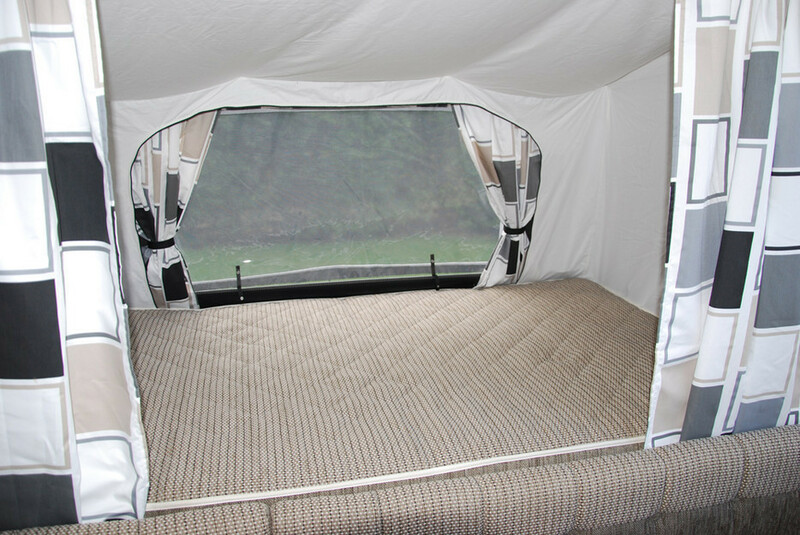 this material does not retain moisture and dry much quicker than older units. 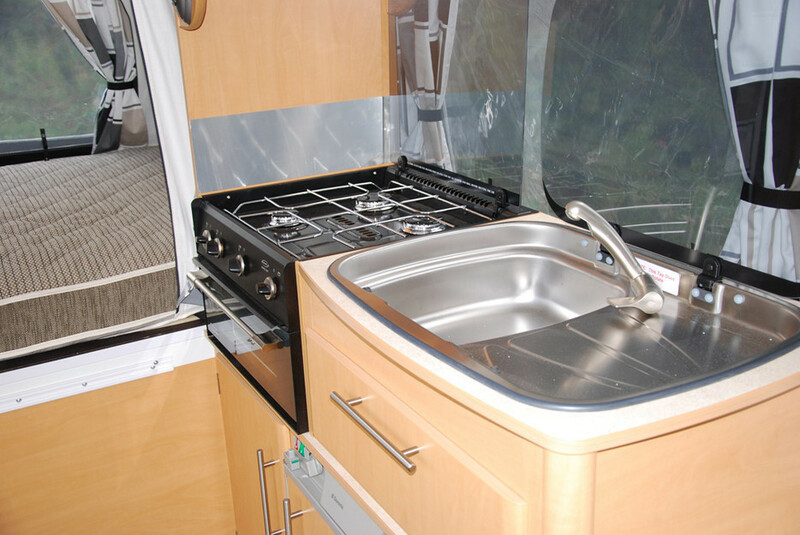 All waste material MUST be emptied from water containers before the return at the site chemical waste.